Sandy is a Deacon working as part of a ministry at Pilgrim Uniting Church , a city congregation in the heart of Adelaide, South Australia. 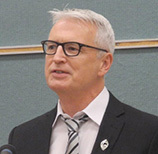 Sandy’s role is primarily focused on connecting church and community, and includes a focus on social justice, advocacy, reconciliation, refugees, music and the arts, a community garden, homelessness, and seminars and symposiums of community interest. She manages the learning program for international students undertaking a Masters of Social Work placement at Pilgrim Church. Sandy is married to Geoff, who retired in 2017 after almost 20 years as Coordinating Chaplain at Flinders University. They have three adult children, and three grandchildren. 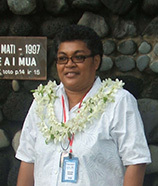 Meresiana N. Kuricava is an ordained Deaconess of the Methodist Church in Fiji. Currently she is the Administrator of the Methodist Deaconess Order and Heads the Deaconess Training Centre situated at 29 Moala Street, Samabula, Suva. She has served in the Dilkusha Home in 1994 with orphanage children before further serving in 2 other Circuits/ Parish. She is a graduate of the Pacific Theological College in Suva with a Bachelor of Divinity. She obtained her M. A. Mission Studies at the University of Birmingham, UK in 2003. She later served as Tutor at the Deaconess Training Centre from 2003 – 2010, and serving as Administrator since 2011 till today. In her work as Administrator she sees the implementation of better quality theological training for deaconesses and for the daily running of the Deaconess House. Her spouse is a school teacher, with 2 young boys in Primary school. The family attend Dudley Methodist Church which is under the Indian Division of the Methodist Church in Fiji. Deaconess Meresiana Kuricava is also the Coordinator of Sunday School in the Indian Division. She has organized rallies and, camps for children and workshops for Sunday School teachers within the Indian Division. She joined DAP in a meeting in Adelaide in October, 2016. From then on it has been an exciting journey with having to know and learn about Diakonia associations in the Pacific. The first World Assembly she was part of was in 2017 in Chicago. Being part of the World Executive Committee is a challenge and a joy as a horizon is extended to learn and know more about the histories of diakonie and to help paddle a new course in this changing world. Christa Megaw is a deacon currently in congregational ministry at Bridgewater Uniting Church in the Adelaide Hills, South Australia. Strengths of this congregation are hospitality and its diversity across a wide age range. One of Christa's roles is to encourage and equip members of the congregation to make connections with the local and wider community in a range of ways. A recent development is a vision for this church to become a music and arts centre. Before this placement, Christa worked for the Uniting Church in the area of International Mission, encouraging individuals and congregations to make links with people in our partner churches through sharing stories of faith, prayer and mutual visits. Previously Christa has volunteered for some years, supporting refugees and asylum seekers. She was ordained in 2011 after working as a primary school teacher. Christa is married to Phil, a recently retired civil engineer. They have two adult daughters who share their love of travel. Anglican Church in Aotearoa, New Zealand and Polynesia. President of Diakonia Aotearoa New Zealand Association (DANZA) which has members from both Anglican and Methodist communities. Anne was one of the first deacons to be ordained to the vocational diaconate in the Diocese of Christchurch and has been responsible for co-ordinating the support and training of deacons in that diocese since 1998. Over the past ten years she has developed and directed an annual short residential school for diaconal formation which is attended by deacons from around the country. For further information see the following webpage and see the links on the right hand column. A great deal of Anne’s ministry has focused on training lay and ordained ministers in the spiritual care of people who are ageing. Currently, in addition to various co-ordinating roles, Anne is the minister in charge of a small lively community-serving parish in one of the most disadvantaged areas of Christchurch. Anne is married to Adrian and they live in Christchurch city. They have 5 adult children and (so far) 8 grandchildren all of whom are living close by. Anne’s passion is to see all people of God empowered to live out their God-given vocation with joy. Also in 2003, he completed a certificate in Conflict Mediation. In 1998, Ted co‑edited Roll Away the Stone: Lenten Reflections at the Close of the Ecumenical Decade in Solidarity with Women. He also and chaired the national task group preparing service book, Celebrate God’s Presence. 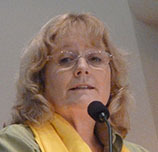 Deacon Jan Cherry is a Minister of Word and Service in the Evangelical Lutheran Church in America, serving as Parish Administrator at the Episcopal Church of the Ascension. Her understanding of our baptismal call to service permeates everything she does at Ascension from weekly E-Newsletters which lift up the ways parishioners are working in the world, to how she interacts with people who walk in through the doors. Jan is also serving with a small congregation in Everett, Washington as Supply Pastor on Sundays, walking with them as they work to discern where God is calling them to serve and what God is calling them to be in the world. 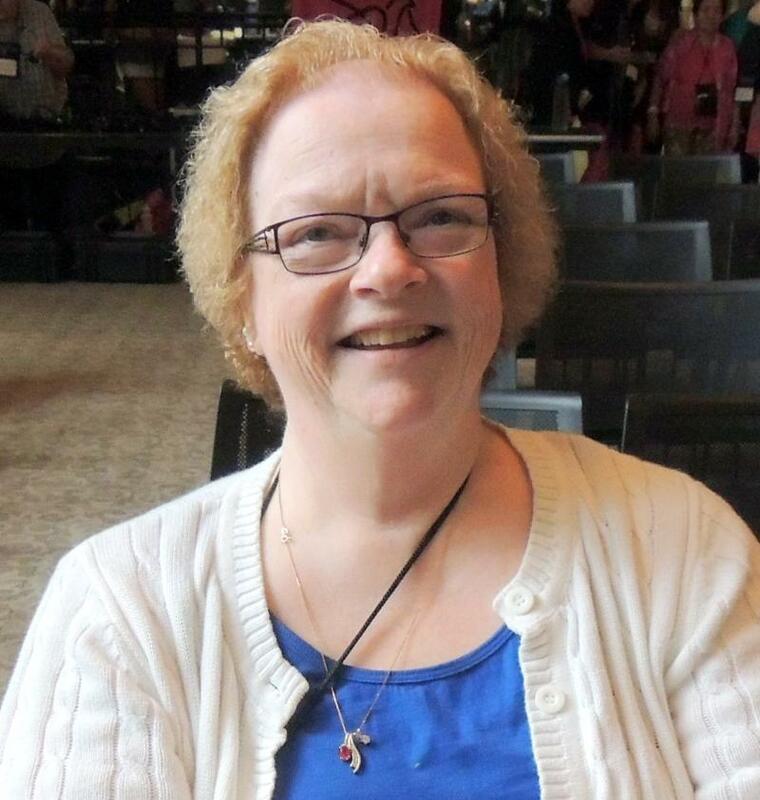 She has been the representative of her community of Deacons of the ELCA (formerly Diaconal Ministry Community) since DIAKONIA World Assembly in Atlanta in 2009, where she has served as Treasurer for all eight years. This position also carried responsibility for alternate delegate to our 2nd Representative to the World Executive Committee, and Jan filled that place four times in those 8 years. She is now serving as the President of the DOTAC Region. Jan has been married to Phil for 40 years and they have three children and three grandchildren. Phil is retiring at the end of this year and looks forward to gardening full time. President DIAKONIA-DRAE (Region Africa-Europe) and one of the vice-presidents in DIAKONIA-WORLD. She is the director (CEO) of the Church Educational Centre, Oslo, Norway and an ordained pastor in Church of Norway (Evangelical-Lutheran). She is married and has one adult daughter. 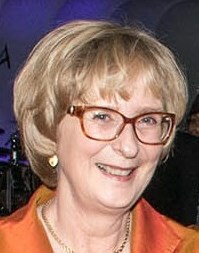 Marianne belongs to the diaconal fellowship at Lovisenberg in Oslo, Norway and was their forstanderinne (leading sister) from 2008 – 2014. 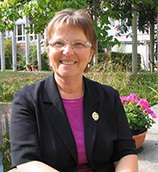 She has been working in Church of Norway and affiliated church organisations since 1983, mainly in the area of diakonia and education. For four years she taught in Botswana. She has also been doing organisational work as a member of several boards. 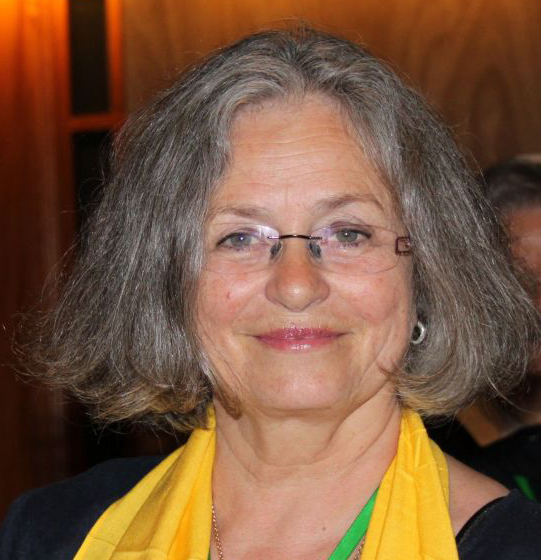 Currently she is the chairperson of the diaconal organisation CRUX. The diaconal fellowship at Lovisenberg is the oldest one in Norway, founded in 1868. It was at the same time founding the first school for nurses in the country. For the deaconesses and the other sisters, it has always been very important that their service as health workers has been based on Christianity and that their consecration has been into the Church of Norway. Nowadays even deacons, pastors and missionaries are members of the fellowship. Ora et labora – pray and work – are two important words in their service. Deaconess Ibironke Oworu is a trained Psychiatric and General Nurse who has practised for many years. She was called to the Ministry of service 13 years ago in Methodist Church Nigeria. She is the Healing Ministry and works as the Health Secretary in Methodist Church Nigeria with oversight function of about 18 hospitals. 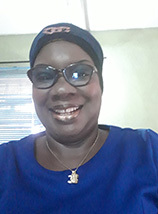 Deaconess Oworu is in the forefront of advocating for change in the Order of Deaconesses, Methodist Church Nigeria. She is married with three boys. My name is Birgit Banzhaf, and, I live in Dresden, Germany, with my husband. I have been associated with the Kaiserswerth Association as a diaconal sister in different roles - and with some interruptions - since 1982. I was shaped by my years at the Stuttgart motherhouse, and today I am a member of the diaconal community at the Dresden motherhouse. I am fascinated by the history of the Kaiserswerth Association. It began when some prominent people became aware of the needs of society and courageously and capably tackled them. They did so conscious of their faith in a living God: A God Who does great things. This faith - for me great and at the same time humble - has supported the establishment of a large worldwide network of educational, training, and diaconal institutions. I am a practical nurse and have studied management of nursing services. I have worked as a matron in different hospitals and have been a hospital health care consultant. Currently I work in a leadership position at the Carus Akademie in Dresden. It is a great honor and responsibility for me to serve as a representative on both the Executive Committees of DIAKONIA World Federation and DRAE. I am pleased to represent the member groups in the countries listed above. My name is Sr. Elisabeth Meier. I belong to the Sisterhood of Bethesda in Basel, Switzerland, related to the Methodist Church. As a trained Nurse I worked for 4 years in a Mission Hospital in Thailand. As I had to return to Switzerland for health reason I trained as a Director in Nursing and started work at the Bethesda-Hospital - belonging to the "Diakonat Bethesda". Two years later, in 1983, I joined the Sisterhood, a step I have never regretted! A few years ago I returned to Thailand for another 4 years to be the Manager of the Guesthouse of the Overseas Missionary Fellowship in Bangkok. By now I enjoy my "active retirement"! Within the Sisterhood of 30 mostly older Sisters I am responsible for the financial administration and I am involved in caring for Sisters who need assistance. We all live together in the same house, having our regular prayers three times a day. Intersession is one of our main ministries. I am also involved in the "Stadtgebet" - prayer for our town in the Cathedral of Basel and in child care during the meeting of young mothers in the State church in our neighborhood. I have served as the secretary of DIAKONIA since May 1, 2014. 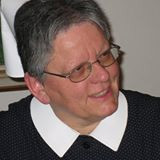 I am a diaconal sister of the Stuttgart motherhouse (Evangelische Diakonissenanstalt Stuttgart) and also a deacon with the Evangelical Church of Baden-Württemberg. I worked as a nurse and was qualified in tropical medicine, parish nursing, and nursing management. I worked at the university hospital of Tübingen and with mobile services throughout Germany. I also worked in Halifax, England; in Maubeuge, France; in a camp for fugitives in the Republic of Djibouti; and for some years in Chamba, Ghana. From 2001 until November 2012, when I retired, I led the Stuttgart community of diaconal sisters and brothers. This community has about 350 members. In the tradition of Kaiserswerth motherhouses, both our members and the employees of our institution receive diaconal education in addition to their professional education. Our sisterhood maintains partnerships with the Emmanuel Sisters in Bafut, Cameroon and with an Orthodox community of women in Cluj, Romania. The basic Christian order of diakonia in community has guided and motivated me in my professional life. My life has been enriched and shaped by working with people of different faiths and cultures as we have lived together and learned from each other. I am honored that I have been asked to serve as DIAKONIA’s secretary, and I thank those responsible for the faith they have put in me. I look forward with great joy to working for DIAKONIA. I am a citizen of the United States and was born in California. I have spent much of my life in the Midwestern United States. I now live in downtown Minneapolis, Minnesota about a mile from the Mississippi River. I earned a Ph.D. in business administration, and I taught at the college level for many years. Currently I spend more time than I want serving as president of my condominium association. Much of my volunteer work has been in the role of treasurer on various boards of nonprofit organizations. In addition to DIAKONIA, I have served on the boards of a food shelter, a literacy advocacy organization, my deaconess conference, and an advocacy organization on behalf of gay and lesbians within the church. I have enjoyed this work and find great satisfaction in doing it. 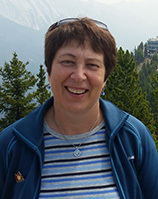 My name is Ulrike Kellner and I live together with my husband in Munich, Germany. My two adult daughters live in the United States of America since many years. I belong to the Kaiserswerther Sisterhood, the first motherhouse Theodor Fliedner founded in 1836. I have a degree in theology and social management. In 2001 I was asked to be the new DIAKONIA World Secretary and was appointed as such at the DIAKONIA World Assembly in Brisbane, Australia. I worked in this capacity until 2014 and stayed on the Executive Committee as representative of DRAE group 4 until 2017 and am very happy to continue as German Editor of the DIAKONIA.